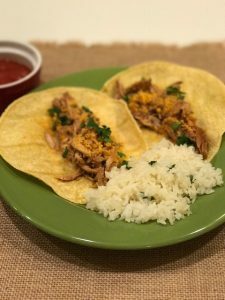 Make this slow cooker chicken carnitas and add Chedz crumbs toppings to kick it up a cheesy notch for a Cinco de Mayo party or quiet family dinner. 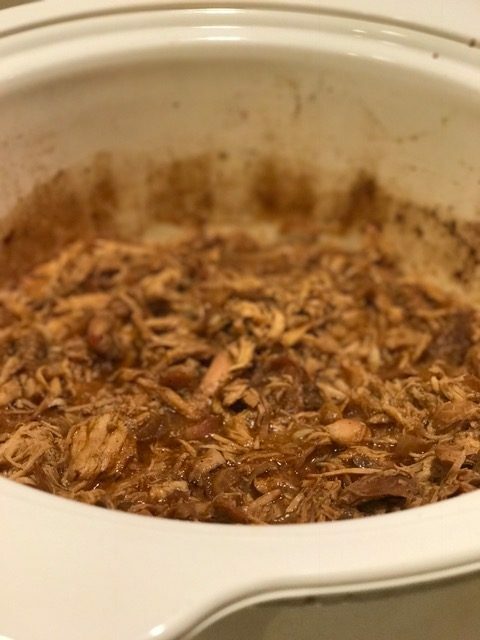 Add the first 9 ingredients in a slow cooker: chicken, broth, onion, garlic, chipotle, cumin, black pepper, chili powder, and salt. Add lime juice if preferred. Gently toss to combine. Cook on low for 6-8 hours or on high for 4-5 hours until the chicken is completely tender and shreds easily with a fork. If you prefer that the chicken be more crispy, you can transfer the meat into a baking pan, pour the juice on top and broil for 5-10 minutes. We skip this step. Serve on tacos, burritos, salads, rice, etc. Crush the Chedz sticks into fine crumbs using a rolling pin, Magic Bullet or food processor. Sprinkle to taste for an extra cheesy crunch. Garnish with cilantro if preferred. The chicken can be refrigerated in a sealed container for up to 3 days, or frozen in a sealed container for up to 3 months.